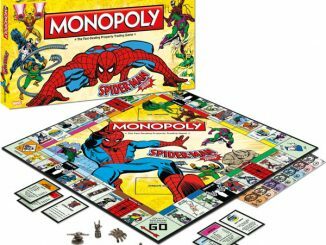 That classic song from the original 1967 cartoon sill resounds in many of our heads today and helped create the fans base that Spidey and Marvel Comics have today. 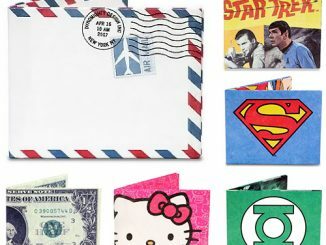 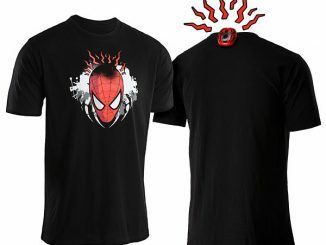 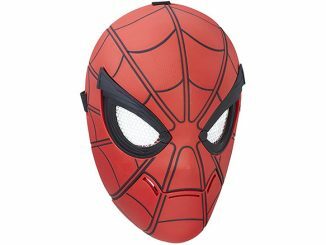 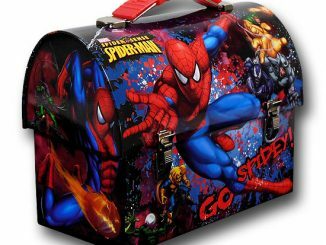 If you are like many of the Spider-Man fans out there, you probably enjoy getting cool merchandise at reasonable prices. 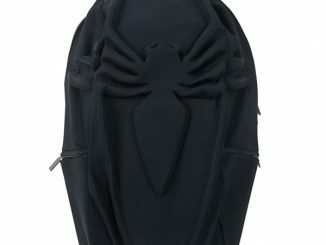 GeekAlerts has shown you the Spider-Man Apron and Spider-Man Sterling Silver Necklace, and now you can pick up the Spider-Man Spidey Symbol Chain Wallet for under $20. 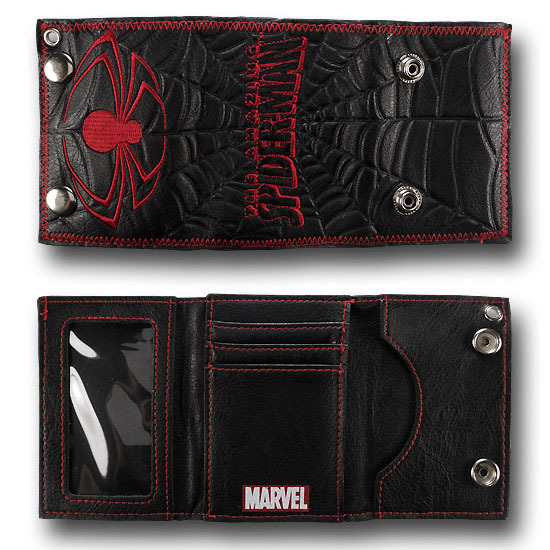 This Spidey wallet is made from soft PVC plastic and features 2 snap buttons, a raised embroidered red Spider-Man symbol, a raised embroidered Spider-Man logo, red stitching lining the edges, and a 15″ long metal chain. 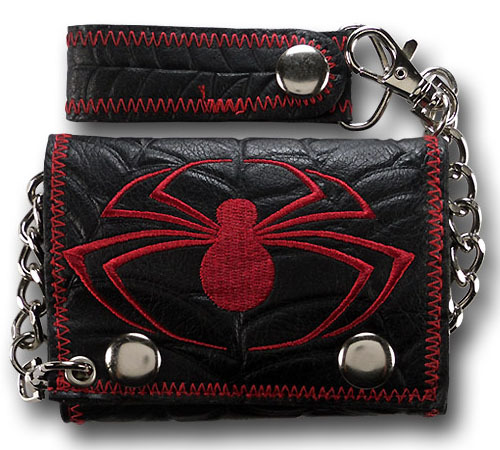 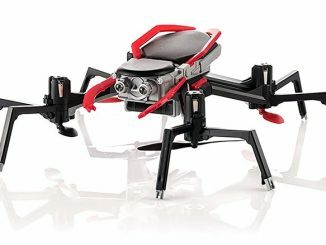 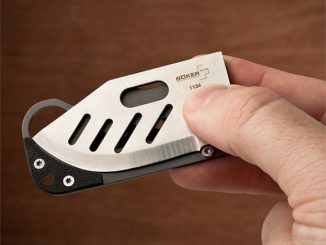 Carry this wallet in your back pocket with confidence knowing that you can securely fasten it to your pants with the included chain and clasp….You might not want to waste ” the one rescue Spidey gives everyone” on losing your wallet. 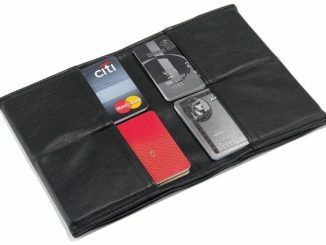 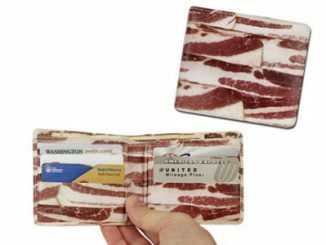 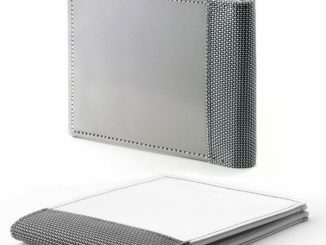 This trifold wallet measures 3″ across x 4″ high and 9″ long when opened; plenty of room for all your credit cards, photos, money, and business cards. 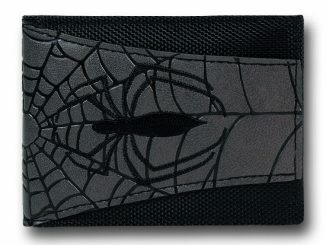 You can purchase the Spider-Man Spidey Symbol Chain Wallet at Superherostuff.com for $19.99.